I know it doesn’t exactly feel like spring yet, but I’m fully embracing the whole ‘spring clean’ thing just now. 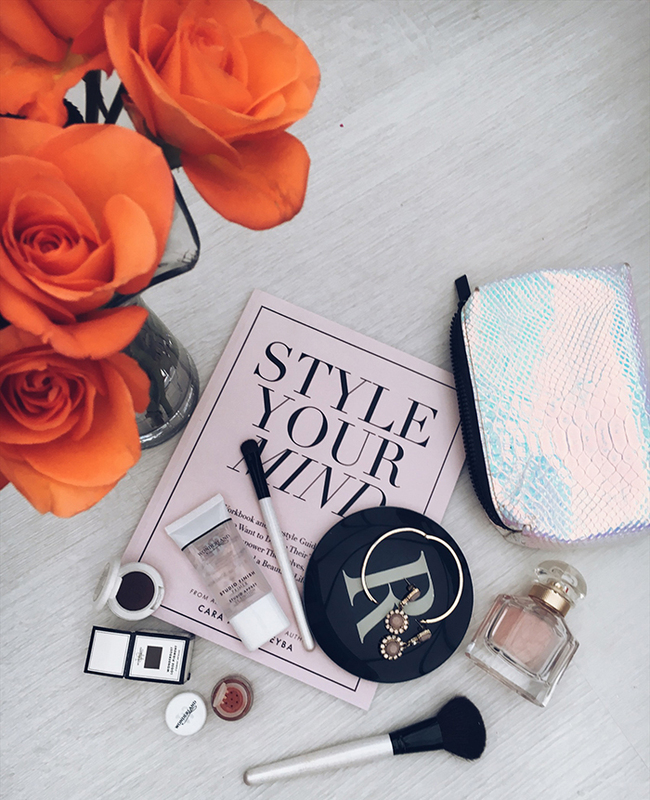 One thing I’m guilty of not having a clear out of enough is my makeup bag so I’m trying to make a conscious effort to keep everything clean, organised and only use products I actually like. 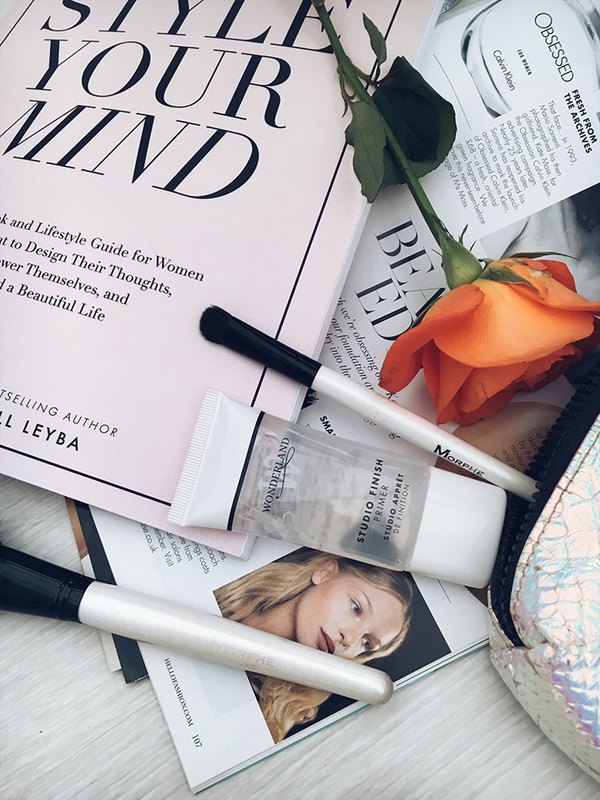 Keeping in with my makeup bag refresh, one brand I’ve recently added to the mix is some gorgeous pieces from Wonderland. 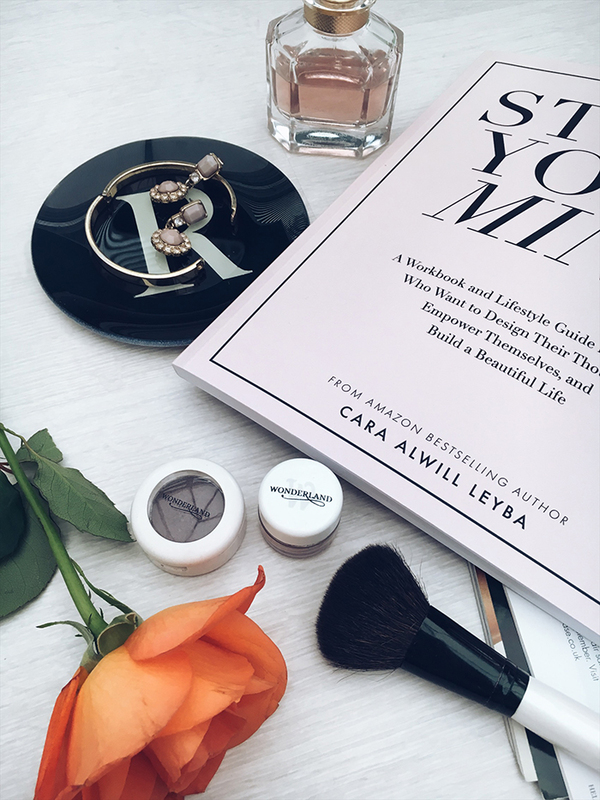 The brand got in touch with me and introduced me to their cruelty-free makeup, all at an affordable price and without compromising the quality of our products. 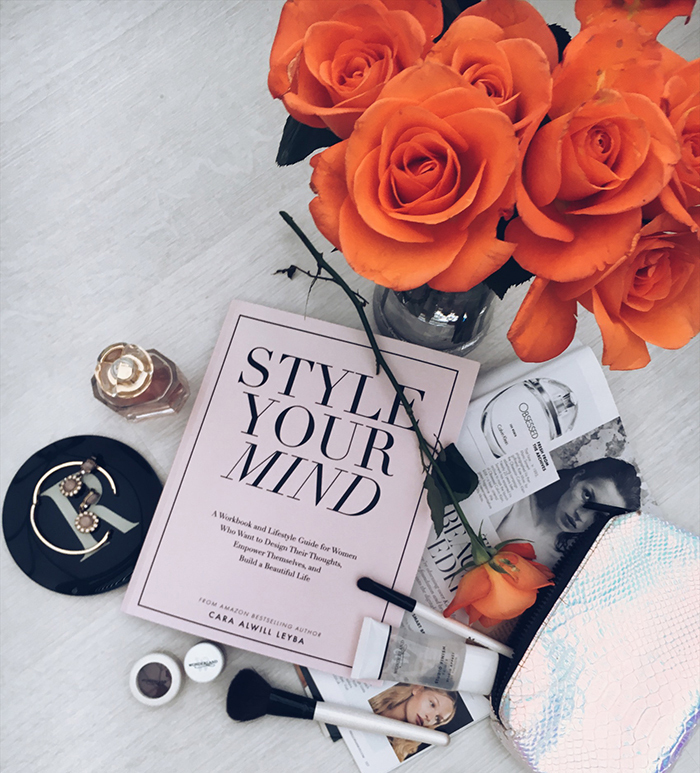 I chose a few of their bestsellers to try out – and thought I’d share with you, just in time for the new season! 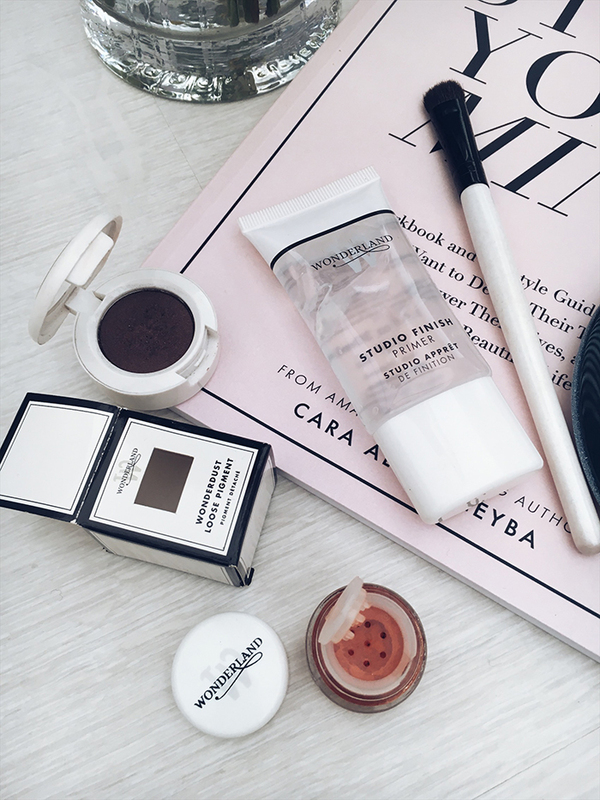 A makeup bag staple, a good primer is a good place to start. 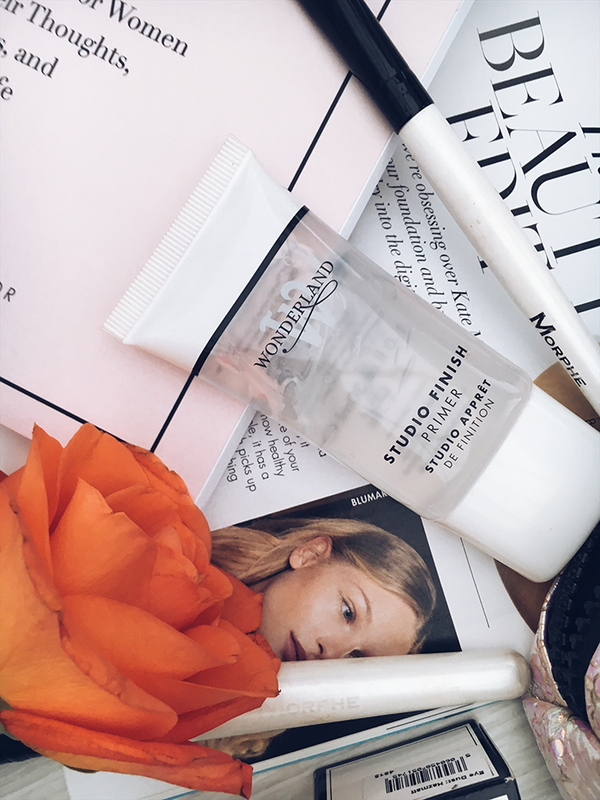 This Studio Finish Primer is £15 and goes on effortlessly. It’s lightweight and oil-free, too so your skin feels like it can really breathe. As someone who will always opt for a strong eye look over a bright lip any day, I thought I’d try out the loose pigment powder in ‘Hazmatt’, a gorgeous bright terracotta pigment with a little sparkle. The Wonderland product I’ve probably used the most, though, is the eyeshadow. Highly pigmented and velvety smooth, the product goes on like a dream and is worth way more than the £7 price tag. I’ve been using it to really finish a smokey eye and it’s constantly in my makeup bag now. What other products are you using just now that I should know about? Let me know! This product contains gifted product. All opinions my own. Previous Post FAKE BAKE BRONZE BOX: A FAKE TANNING SUBSCRIPTION BOX?